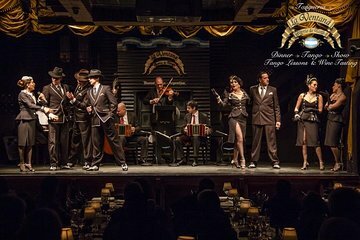 Combine two quintessential Argentinian activities—a tango show and a wine tasting—in a single tour in Buenos Aires. Once you arrive at La Ventana in the San Telmo neighborhood, first indulge in a wine tasting of local wines, guided by an in-the-know wine connoisseur. Then sit down for a traditional dinner, followed by a tango show featuring talented dancers and musicians. You'll also get a tango lesson so that you can try out the steps for yourself.